The Guardians of the Galaxy Vol 2 Trailer is finally HERE Rejoice! This may be the most hottly anticipated trailer this year......Yes more than Star Wars! Guardians of the Galaxy has a record breaking 5 Post Credit Scenes. My guess is some will be silly but others may help set up other films. Either way 5 scenes! Geez I'd pay something just for that. Stay until the end. Guardians of the Galaxy is off to a galaxy smashing start to its run. The film as of May 7 has netted $145 million domestically in its first weekend and the film globally has already made a whopping $427 million. The domestic total is nearly 50 million ahead of where Guardians 1 was at the same time. The early reception for Guardians of the Galaxy Vol 2 seems to be largely positive. Erik Davis from Fandango said quite a bit about Guardians of the Galaxy and all of it very positive. Made a bold prediction that the Guardians Vol 2 could become many people's new favorite Marvel film. I could seriousily just watch Guardians of the Galaxy Trailers all day. If James Gunn was not a director I would say he should just become a trailer specialist. These are just awesome. Each one out does the one prior. One thing I have really noticed is that Dave Bautista is hilarious. He has really good comedic timing again and again. I really had no idea. I thought the Drax comedy moments in Guardians of the Galaxy 1 may have been a fluke but no he has proven it to me. He has a real talent for comedy. Director James Gunn tweeted out a thank you tweet after Guardians of the Galaxy Vol. 2 rose to 81 million views in the first 24 hours. Holy crap! 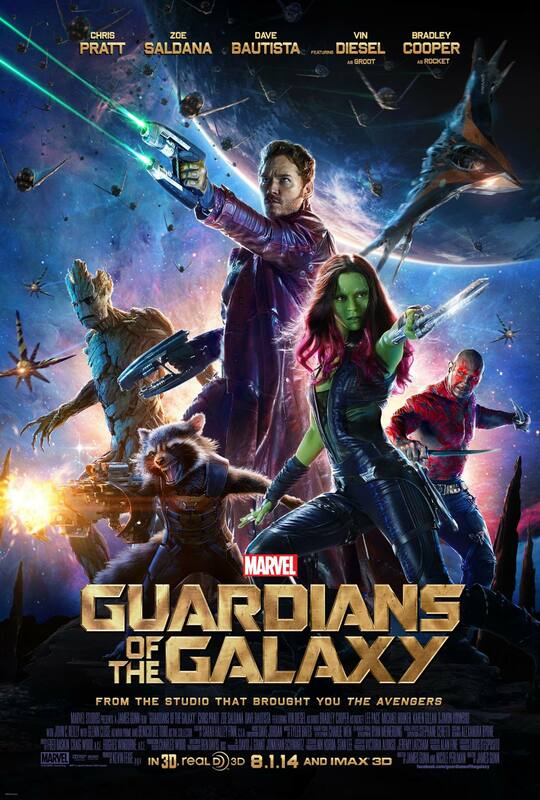 With 81 million views in its first 24 hours, the Guardians of the Galaxy Vol. 2 Teaser Trailer is the SECOND BIGGEST TEASER TRAILER EVER (after Beauty and the Beast), and the biggest Marvel Studios Teaser ever! No kidding - I'm, like, floored. Thank all of you so very much for watching it (more than once), and sharing it, and welcoming Baby Groot and Mantis with open arms. Thanks for all your amazing reactions (including your reaction videos, which Jennifer Holland and I stayed up until the wee hours of the morning watching the other night). Thanks to the wonderful folks at CCXP in Brazil where we debuted the trailer. And finally (yes, I know, it's starting to become like I'm accepting an award - sorry BUT) HUGE THANKS to the smart and kind marketing folks at Marvel and Disney who put up with all my eccentricities during the teaser editing process. Honestly. You guys can't imagine what they deal with. I'm a maniac. Now they're gonna have to deal with it again as we prep the FULL TRAILER. And even more so as we finish up the MOVIE. Oh - and the icing on the cake - "Fox on the Run" by Sweet, the song used in the teaser, rose to number one on the iTunes Rock Chart! Did I mention we debuted on a Saturday when you're NEVER EVER supposed to debut anything? First things first this movie looks just as fun as the original and that is saying something. The characters are intriguing, the sets are otherworldly, there is action and obviously some humor. Ooga chaka Ooga Chaka the familiar tune subtly plays in the background as the camera gently glides down a hall of the Milano. A cheeky scrawl is written on the walls no doubt by a certain intergalatic outlaw turned hero, Starlord. The message is clear the team is back. Then begins to snap quickly in a variety of intriguing scenes that show that while our favorite characters are back, they are in a very different place than where we saw them last. The team is shown walking through a weird alien planet. Star Lord standing before a glowing biomass like abyss. Gamora drawing her sword. Rocket and Yondu strutting past helplessly floating warriors, a giant explosion. Then finally a joke because this is the Guardians and they don't take themselves too, too seriously. I am very curious where the locations are in the Marvel Universe. I am a massive Marvel universe geek and love to chart out the planets. They certainly do not appear to be the planets visited in Gotg 1 (Xandar and Morag) One thought is that some scenes make actually take place on Ego the Living planet. Ego will play a major role in the film and will have a human form played by Kurt Russell but also will presumably still be a planet. In particular the scene of Starlord peering out into filmy blue biomass feels like could be on Ego. There is also another interesting scene where Yondu and Rocket are walking together where a huge group of warriors presumably members of the pirate like Ravagers. Rocket used a similar gravity shut off strategy to escape from the prison the Klynn in Guardians 1. Where is this location at? My guess is that it is aboard a Ravager vessel. Trailer 2 showed some more of what one expects from Guardians of the Galaxy, more humor, more action and more insane special effects. Rocket Raccoon explaining to Baby Groot not to press a red button is both funny and shows how different this Groot may be from his predecessor. We see all of the heroes in battle against a huge army of hive like space ships and then with a large space monster. There are still few details on who the antagonist of the film is. The trailer also gives us the first glimpse of the character Mantis. It also shows her power hilariously in action. I think Mantis looks really awesome. She is a pretty weird character and has been shown looking a few different ways in the comics. She could have been depicted with green skin, with or with out antennas. This particular look takes ques from all of these. I think what is cool about it is that she does look alien while maintaining a lot of human facial features that connects her closer to the audience. Also this debut scene is hilarious. Toylab is a member of the Amazon Affiliate program and is happy to be able to provide these awesome Guardians of the Galaxy deals! We do earn fees for advertising on purchases made through this portal.